Doctors Without Borders/Médecins Sans Frontières (MSF), an international medical charity organization, recently published a report, describing and highlighting the brutal and complex nature of injuries on the bodies of those injured in the Gaza border protests, on the Gaza-Israel border. The organization chronicled the extreme difficulties it faces in treating these injury victims. Most of the injured were shot by Israeli soldiers using live ammunition and lethal bullets. 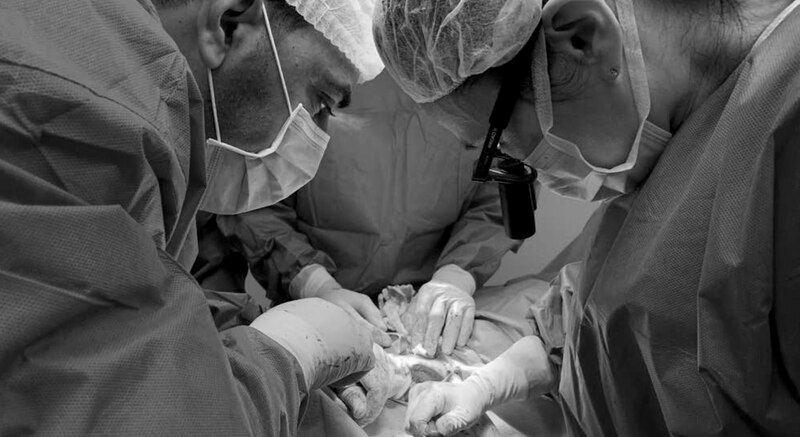 MSF’s report especially focuses on the bone injuries endured by Gaza’s injured Palestinians. The bones of the legs of many of the injured were found to be badly crushed, mangled and broken into small and medium-sized parts, creating a big gap in the bone and exposing the rest of it to air. These highly complicated open fractures were accompanied by severe tissue and nerve damage. In some cases, patients were missing huge pieces of their bones altogether, measuring between one and ten centimetres. The report also cites the unavailability of resources for sufficient treatment in Gaza, which makes it harder for MSF doctors to treat the wounded properly. It stresses that specialized treatment for these kinds of injuries is very hard to obtain in Gaza, which has been under an illegal and brutal Israeli land, air and sea blockade for more than 12 years. The patients have to be inevitably referred to hospitals outside Gaza, including MSF’s own reconstructive surgery hospital in Amman, Jordan. However, the report states that arranging theis medical travel for patients involves acquiring necessary permission from several Israeli authorities and that in most cases, these permissions are denied. MSF only successfully made its first referral to a patient for medical travel abroad this month. According to the report, a total of 6,174 Palestinians suffered injuries from the lethal bullets fired by the Israeli army since March 30, 2018, when the Palestinian Great March of Return protests began. Almost 90% of the injuries were to the lower limbs. Currently, 900 of those patients are under the medical care of MSF. The report emphasizes the drastic increase in its rate of performing operations, with 302 operations performed in 2018, up from 109 operations in April 2018. This has also resulted in a significant rise in surgical requirements for the gravely wounded. The report also highlights the complications in the surgeries. In cases where the bullet wound left a large gap in the bone, the surgeons took bone from other parts of the patient’s body, for example the hip, and filled the gap. The doctors pointed out that this bone, acting as a filler, would take at least 2 to 3 months, possibly even longer, to fuse with the affected bone at the site of injury. If the fusion is successful, the doctors would proceed by removing the external fixator, and eventually advise physiotherapy to the patients. But if the gaps in bones are too large, even these kinds of graft surgeries are not immediately possible. The patient has to first go to a plastic surgeon who makes a covering of muscle from another part of the body to cover the open wound. Then, approximately a month or more later, the doctors open the wound again, clean it and put bone cement inside, cement which is essentially a putty with a smell reminiscent of gasoline. The putty hardens quickly and, after six to eight weeks, if there is no infection to the bone and the cement cover on the wound is intact, the gap area is reopened, the cement putty is removed and a bone is placed to fill the gap. Hey Buddy!, I found this information for you: "MSF report highlights gruesome injuries to Gazans due to Israeli firing". Here is the website link: https://peoplesdispatch.org/2019/01/31/msf-report-highlights-gruesome-injuries-to-gazans-due-to-israeli-firing/. Thank you.